The new type anti-fake cable seal is researched and developed by using current advanced QR code technology and combining specific features of refined petroleum road transportation. 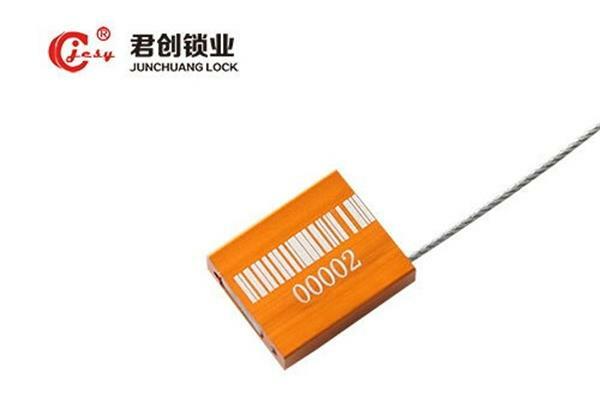 Its QR code label and sealing mechanism adopts integrated sealing structure to ensure the solidness of the whole. This product solves the problems of old type seals such as low duplicate cost, easy in duplicate, no encryption information, bad anti-fake performance, improves the safety of refined petroleum transportation, and realizes the purpose of anti-stolen effect. Different colors distinguish of seals: the seals of dispatching vehicle and returning vehicle to gas station adopt different colors and with different marks to make the distinguish. Different colors of seals can directly identify the dispatching units of seals, and can check the marks according to color, which can greatly improve the anti-fake performance of seals. each province or area has unique serial number to prevent the confusion of seals. Different use of seals can further improve seals management, increase duplicate difficulty and improve the safety of refined petroleum transportation. Security seals record check: make record at each time use of seals to check. Before leaving gas station or petroleum warehouse, security seals must be confirmed of finish. And make record of seals serial number and vehicle number, and verify after arriving at destination. Barcode check: mainly depend on serial number and basing on barcode when checking seals to make the distinguish of anti-fake cable seals. （1）High-density code, large information capacity: can account over 1850 letters or 2710 numbers or 1108 bytes or over 500 characters, which is higher dozens of information capacity comparing with common code. （2）Wide coding range: this code can encode pictures, voices, characters, signatures and fingerprints which can be digited, and show by code; can display multi-language and characters; can display picture data. （3）Strong fault-tolerant ability, have the function of error correction: QR code can correctly read when part is defected due to hole penetration or damage, and information can be recovered if damage area reaches 50%. （5）Introduce encryption measure: conduct specific encryption treatment according to users requirement, other companies or personnel are unable to read or analyze seals coding information without the authorization of encryption or reading, which greatly improves anti-fake performance.